Best Western Key Ambassador Resort Inn is near the airport and close to East Martello Museum and Gallery, Smathers Beach, and Key West Art and Historical Society. This resort is also near Robbie's. 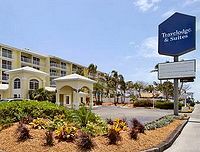 Doubletree Grand Key Resort is near the airport and close to Key West Art and Historical Society, Smathers Beach, and East Martello Museum and Gallery. Nearby points of interest also include Robbie's. You can also spend a day in the sun at the swimming pool or try out water sports. The Ernest Hemingway Home and Museum is less than 1 mile away. Harry S Truman Little White House is opposite the resort. Sheraton Suites Key West is near the airport and close to Smathers Beach, Ernest Hemingway Home and Museum, and Southernmost Point. 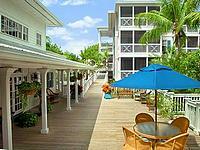 Additional points of interest include Key West Aquarium and Duval Street.